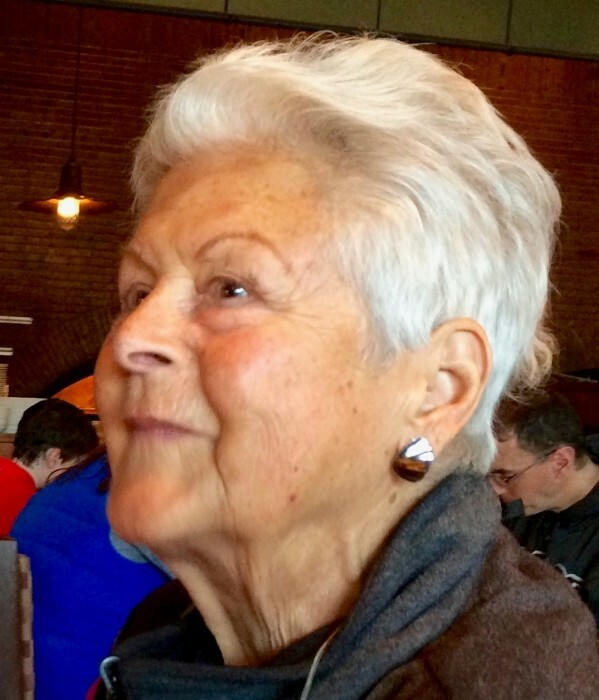 Obituary for Anne Carll Hare | Kostanski Funeral Home, Inc.
Anne Carll Hare passed away on January 28, 2019, at the age of 86 in her home at The Arbors in Greenfield, MA-comforted by close friends and immediate family. Anne was born in Hartford, CT, to Julia Floyd Parke Brott and Jeremiah Olney Brott. She grew up in Chevy Chase, MD, and graduated from the University of Maryland. With dedication borne of a compassionate and loving spirit, Anne made a lifelong commitment to service. She worked for 30 years at the Children's Center in Hamden, CT, where she taught disadvantaged youth, supervised the day program and was president of her local AFL-CIO union. For the last 20 years Anne loved making Greenfield her home. Anne attended All Souls Unitarian Universalist Church, where she was a dedicated member and made many close and enduring friendships. Anne helped shape Greenfield's Restorative Justice program during its 1997 inception and was a restorative probation board volunteer from 1999 to 2014, as well as an Elder Peer Counselor in the Greenfield community. Anne blossomed later in life as she learned to turn compassion inward as well as outward. Independent, courageous, and dignified, Anne was known to speak her mind, but she did so with humility, wit and humor. Anne's lifelong commitment to social justice guided her work, her activities and her community involvement. Among her many passions, Anne especially loved drawing, canoeing, camping, tag sales, and long walks with friends and family. Anne is survived by her siblings, Robert Parke Van Brott and his wife Nat, and Julie Floyd Harris and her husband Tom; her children, William Meredith Hare and his wife Noelle Baker, Matthew Parsons Hare and his wife Kerry Shaw; and Elizabeth Jane Hare and her ex-husband Joseph Steig; and her five grandchildren and one great grandson. She is preceded by her parents; her brother George Olney Brott; and her ex-husband, Michael Scott Hare. Celebrate Anne's life and share your stories of remembrance on Saturday, March 16th at All Souls Unitarian Universalist Church, 399 Main St., Greenfield, MA. All are welcome for a memorial service at 3 pm with a reception to follow on the premises. In lieu of flowers, memorial contributions in Anne's name may be made to All Souls Unitarian Universalist Church, PO Box 542, Greenfield, MA 01302.